Rebranding | Curly's Corner Shop, the blog! Murdo Fraser is the hot favourite to be elected as leader of the Scottish Conservative and Unionist Party, and as part of his election campaign he is already promising to break away from the party in England and Wales to form a new party of the right in Scotland, seeing the present associations with the Conservative Party as “toxic”. He wants the present members of the Conservative Party to vote themselves out of existence and transfer all of their assets to a new party, as yet unnamed, a communal suicide pact such as has never been witnessed before in British politics – or has it? Fraser himself has not exactly set the world of Scottish politics alight, in the old North Tayside constituency he has progressively fallen further and further behind the SNP’s John Swinney over the past ten years, but amazingly becomes an MSP through the present regional list system used by Holyrood, and since the resignation of Annabel Goldie has set out on a course to try and reverse the fortunes of the centre right in Scotland. Having seen their representation in Westminster reduced to one seat Fraser sees the burning of the old party and a rebirth from the ashes as the only way out, rather than formulating new and attractive policies that counter the “Independence” argument with a free market alternative to the broadly socialist tendencies of all of his opponents. There is a very strong traditionalist and Unionist tendency within the Scottish nation that does need to be re-awakened, I personally doubt that a referendum right now about Scottish Independence would be won on behalf of the SNP, there are many constituencies which retain the Shire like nature of their English counterparts, there are strong historical links to economists, historians, and politicians of the three major British parties that suggest that the appeal of the Union is still strong, besides a breakaway would lead to the end of the Lothian Agreement. This alone would force the hand of those without the experience of leadership and governance as much as the taxing problem of raising revenue and setting spending constraints every bit as tight as those felt in England and Wales. These are far more important issues for those of the centre right in Scotland to be concerned about rather than a re-branding exercise under a new banner, in what appears to be an act of appeasement towards the SNP. “Focus on Scotland is the vehicle that currently provides the majority funding for the Scottish Conservative and Unionist Party (SCUP). In other words any new re-branded party could immediately be scuppered! My own view is that like some football teams in a very bad run of form, falling down the pyramid with successive relegations, the Scottish Tories have developed a losing mentality, and the reason that they are unable to even tread water is that many of their members don’t want to get their feet wet these days. We see the same tendency in areas of Tyneside after so many years of banging doors to garner just a few votes! What they need is an injection of confidence and youth, a set of modern policies openly formulated in a very transparent manner where party members feel as though they are part of the team playing for each other and not just for the manager or the board. A set of policies tailored to suit Scottish needs should not be a great issue for them, the Scottish Conservatives have always had their own identity and constitution within the broader party and they have produced some heavyweight politicians in recent decades to send to Westminster such as Teddy Taylor, Michael Forsyth, and Malcolm Rifkind. The great lesson that members should remind Murdo Fraser of is this, re-branding simply has not worked in the past, it did not work for Labour’s “Gang of Four” and the SDLP, and David Cameron’s exercise in re-branding his party as “the heir to Blair” failed to win an outright election victory as recently as last year! It is ideals, ideas, and policies which meet modern aspirations that win elections not slogans and badges! Mr. Fraser can sleep easy in his bed, despite the threatened lack of funds, he still has the whole hearted support of a South Tyneside man steeped in the history of recent Scottish politics, our very own “virtual councillor”. Some good points, but there is always debate when it comes to rebranding. 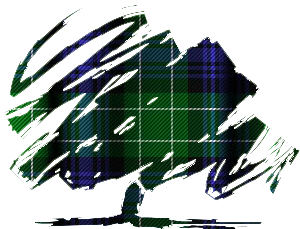 Remeber when the Tories ditched the torch logo and replaced it with the tree? There was huge dissent. Now it’s a distant memory. Murdo is a good man with good ideas. He is energetic with a deep intellect that leaves many of his Scottish colleagues in the dust. Your suggestions for progress are generally sound, but it’s all be tried before. Spending six figures at each election to get one MP is just not good enough. What really concerns me about your argument is your harking back to the past. You can talk all you like about Teddy Taylor, Michael Forsyth, and Malcolm Rifkind. Those days are gone, Curly. The party is dead in Scotland. Not dying, dead. The problem with too many (may I say, slightly older) Tory activists is very this very focus on the past, the glory years. When I was in the local party here, they spoke like Stanley Baldwin was still running the show. Things change, time moves on. You can linger on the past all you like whilst paying lip service to “modern aspirations”. That doesn’t drive progress, it stifles it. Difficult to imagine them finding anyone suitable to play George Smiley, Ken Charlton would have been an ideal candidate some years ago. Meanwhile, it would appear that Khan’s “California Dreamin'” may have received a “slap “; worth checking out the latest on San Mateo CIV 482779. Well and truly “slapped” for being “frivolous”! Mysterious “meetings” with unidentified figures seems to be the current vogue, Le Carreism is proving to be a summer virus in ST. Meanwhile, the heroic Guy Oppermann, MP sets the standard for politicos rather than The Standards Board, or should that read bored?